An absolutely beautifully written book! Mr. Doerr can turn words, bringing the reader right into the story, describing the natural world along with the urban vistas, the action, and the characters like so few authors can or do. The imagery is beautiful. I felt as though I were right with Marie-Laure or Werner over and over again. This is historical fictional, suspense/mystery, and literature at its finest. It is a page-turner as well. No wonder it won the Pulitzer Prize in 2015. Marie-Laure lives with her father in Paris. He is the lock master of the Museum of Natural History. Marie-Laure goes blind at the age of six. Her patient father builds a model of their neighborhood–every house, every manhole, every intersection, so that she can memorize it with her fingers and then navigate the real streets as she walks with her cane. In 1940, the Germans occupy Paris. Marie-Laure and her father flee to Saint-Malo on the Brittany coast, where Marie-Laure’s Great Uncle Etienne lives in a very tall, narrow house by the sea wall. Her father frantically builds a miniature neighborhood of Saint-Malo for Marie-Laure so that she can get around on her own. Then there is Werner, an orphan German boy. While in an orphanage, Werner finds a radio. Werner and his little sister, Jutta, are very intrigued with this machine. He tinkers with it, listens to the stations he can find and becomes a master at building and fixing radios, and is incredibly smart in math. These talents lead him to an elite but harsh military academy, a piece of the Hitler Youth. He becomes a highly specialized tracker of the Resistance. Werner travels into Russia, across Europe and into Saint-Malo, where his path converges with Marie-Laure’s. The chapters are short, with few main characters. Each chapter takes you to and from the various characters so while reading this fine book, it takes some time to lace it all together. Mr. Doerr weaves a fabulous tale in this unique way. There was much for me to learn about the French in World War II, as well as the Hitler Youth. The reader is on the roads with the characters as they become intertwined. The light we can see is the brutality and the love. The light we may be unable to see is how many of these genuine characters, against all odds, do try to be good to one another through unconventional means. And that is all I am going to say about the plot. You won’t regret reading this fine book. Anthony Doerr was born and raised in Cleveland, Ohio. He graduated from Bowdoin College in Maine, 1995, majoring in history. He then earned an MFA from Bowling Green State University in Ohio. He is the author of the story collections The Shell Collector and Memory Wall, of the memoir Four Seasons in Rome: On Twins, Insomnia and the Biggest Funeral in the History of the World, and his first novel About Grace. This entry was posted in Adult Fiction, Book, Book Review, Reading. Bookmark the permalink. I keep hearing great things about this book–I think I need to add it to my TBR pile! I already have this book sitting on my TBR bookcase, but now I am even more eager to read it after your wonderful review! I really need to make time to fit this in. And congratulations on completing the Big Book Summer Challenge! Hope you will join the fun again next summer! Thanks, Sue, for hosting this and encouraging each of us along the way! You are a fine hostess as you kept up with each one who reviewed and joined and all! You will have a fine read. Hard, lovely, tough, beautiful…all kinds of emotions added to the suspense. It is an exceptional book. This book sounds wonderful! 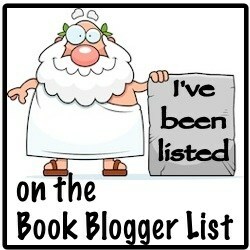 I am definitely adding to my TBR list. I’m putting this one on reserve at the library. Keep hearing fantastic things about it! Thanks for sharing with the cozy reading spot.